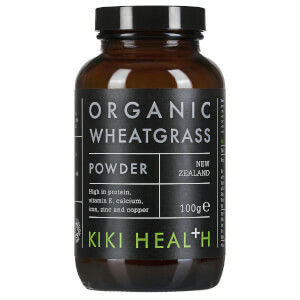 KIKI Health Organic Wheatgrass Powder is 100% raw ground Wheatgrass that is high in protein and fibre to help improve general health. 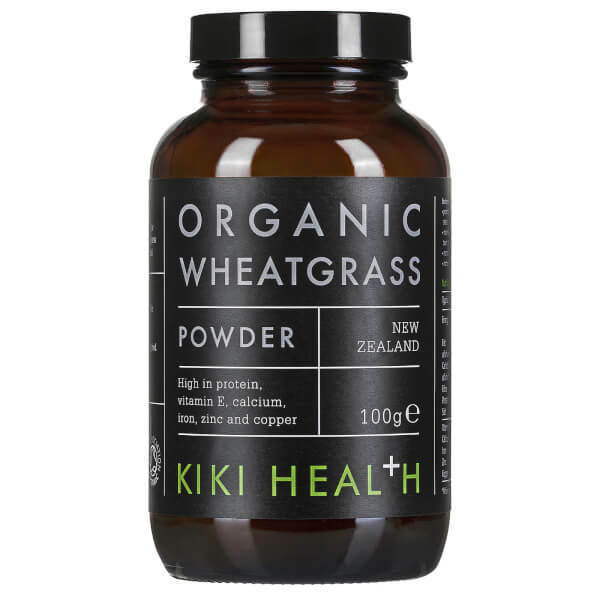 Made from young, outdoor-grown Wheatgrass that has benefitted from natural sunlight and nutrient-rich, organic soil, the fresh Wheatgrass is dried at low temperatures before being crushed into a fine powder with freezing air; the quick process helps retain the plant's nutrients. It is also irrigated with uncontaminated water that has been extracted from deep underground. 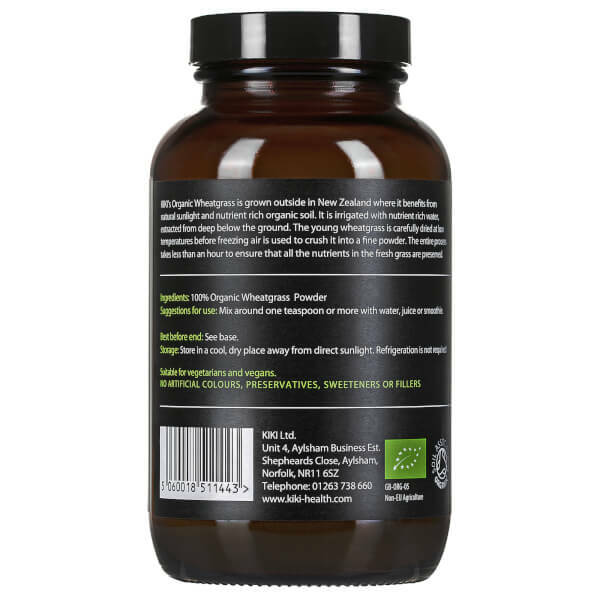 Naturally high in Vitamin E, Calcium, Iron, Copper, Zinc, Protein and Fibre, the organic powder delivers multiple benefits, including: maintenance of normal bones and hair, reduction of fatigue and growth in muscle mass. 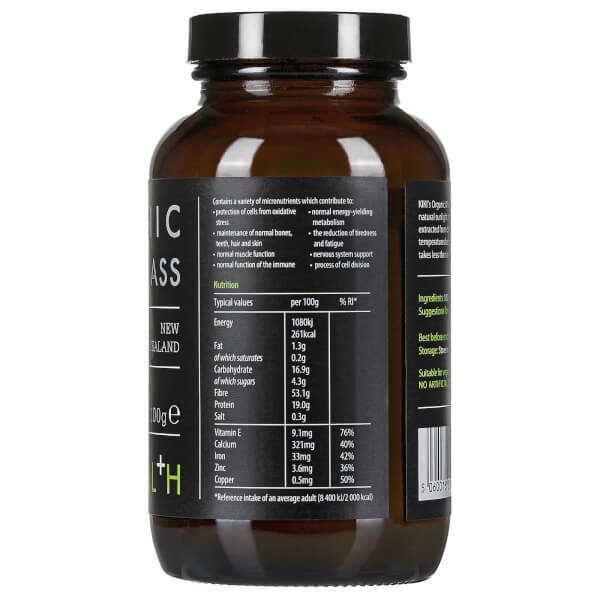 Mix into water or fresh juices for a nutritional boost or healthy, alkalising drink. Mix around (1) teaspoon or more with water, juice or smoothie.